American power trio PRONG has released the official music video for the song "Forced Into Tolerance". 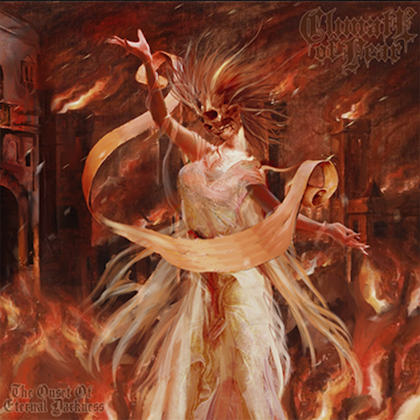 The track is taken from the band's latest album, "Zero Days", which was released last July via Steamhammer/SPV. 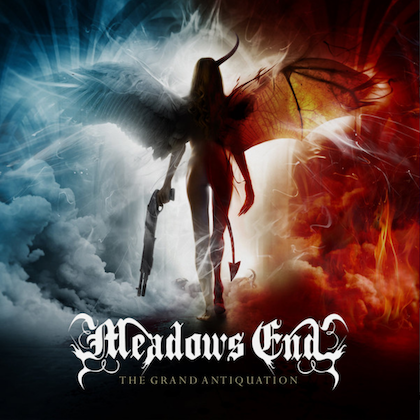 The disc was once again produced by PRONG mainman Tommy Victor, with trusted collaborator Chris Collier as co-producer and engineer. 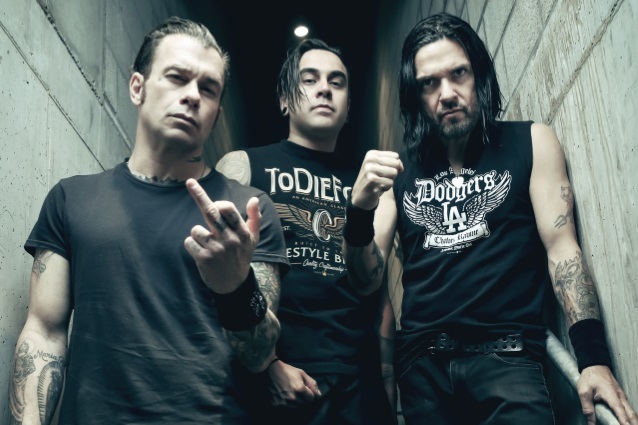 "PRONG is happy to team with Blabbermouth to premiere the video for 'Forced Into Tolerance' from our latest album, 'Zero Days'," Victor said in a statement. "It represents the no-frills, in-your-face relentlessness of the track. It's our response to being told what to think and believe by everyone. Enjoy!" 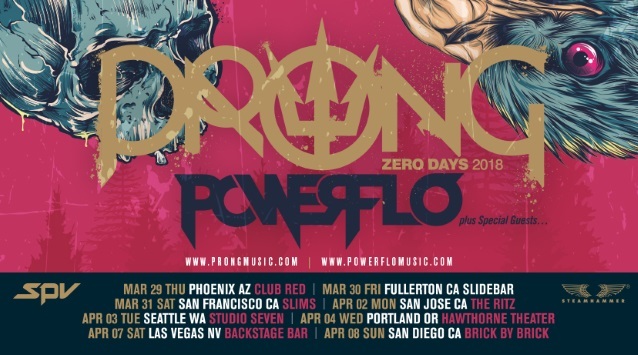 PRONG recently announced the continuation of its "Zero Days" tour with a series of West Coast dates alongside POWERFLO. After a solid year of touring with the likes of TESTAMENT, OBITUARY, SEPULTURA and EXODUS, as well as filling key slots on the European summer festival circuit, the band now brings it back home to the states, including a highly coveted, co-headlining run with HELMET. "PRONG is absolutely ecstatic about this upcoming, quick West Coast run with POWERFLO," Victor said. "We are very happy to announce this run of shows with these guys. It really makes a lot of sense: two hard-hitting bands whose members have a great history together! It seems to me that the shows are going to be high energy and intense!" Victor told AXS about the follow-up to 2016's "X - No Absolutes": "I think the vocals have gotten better and better and that's indicative on the new record. I spent a lot more time on the lyrics. They had to be to be perfect on this one. That's really where I've been moving with the PRONG experience. That's become the centerpiece of my interest — the lyrics and the vocals. Finding riffs is very difficult. That is probably the less enjoyable aspect of making the record, because everything's been done already. These guitar players and kids today are so amazing and outstanding, it's like, how do you compete with that? So finding that is difficult. 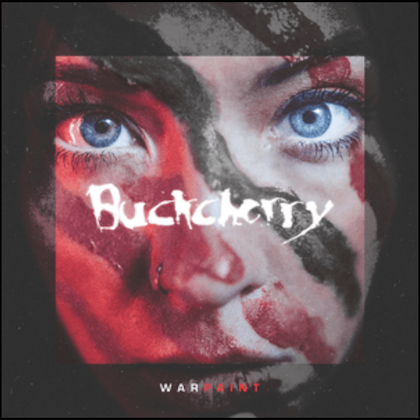 I think we did a good job, but the pressure to write really good songs every record is of more strategic importance here, because I think that where veterans can somehow stand alone because you know how to write songs. You've done it in the past. The kids might be able to destroy you on their instruments these days, but to write a good ol' rock and roll song, that's something we may be able to do better than them. That's what we have to focus on."